This week, we dive into how podcasting can help brands create brand awareness, promote their products and services, and leverage the podcast medium to attract new clients, customers, and sales. Several years ago, when blogging became all the rage for increasing brand awareness, expanding your audience, and growing your business - millions of business owners and entrepreneurs jumped on the blog bandwagon to help their companies “get a piece of the pie” in the blogging space. And many online marketers began experimenting with ways to use that medium to increase their company’s visibility and generate more income. 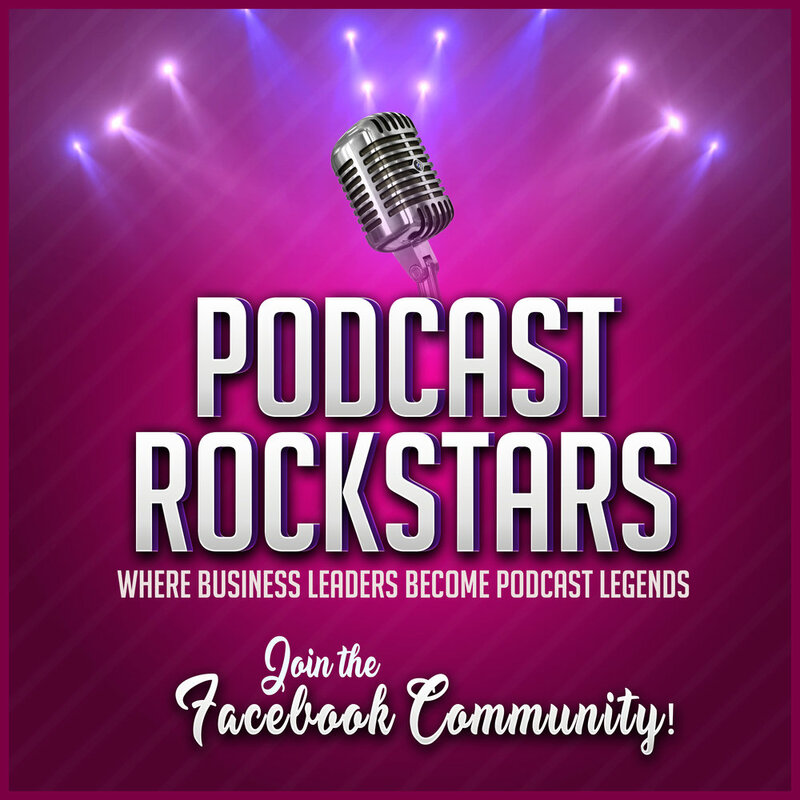 While blogging still remains at the top of the list for entrepreneurs to create brand awareness, podcasts have allowed businesses to give their companies a strong voice for their brand while adding a bit of “personality.” to their companies. Podcasts have enabled businesses to explode their revenue and achieve their sales goals in a more authentic, natural way. Spreading their company’s mission, ethos, experiences and expertise by being a featured guest on other shows. Sponsoring a podcast in your niche or industry. Let’s dive a little deeper into each of these ways brands and entrepreneurs are leveraging podcasts to gain more visibility for their businesses. Whether you’re a new business owner or veteran entrepreneur, starting a podcast in your company’s niche is a fantastic way to increase brand awareness, engage with your audience, promote your products or services, and impact your bottom line. 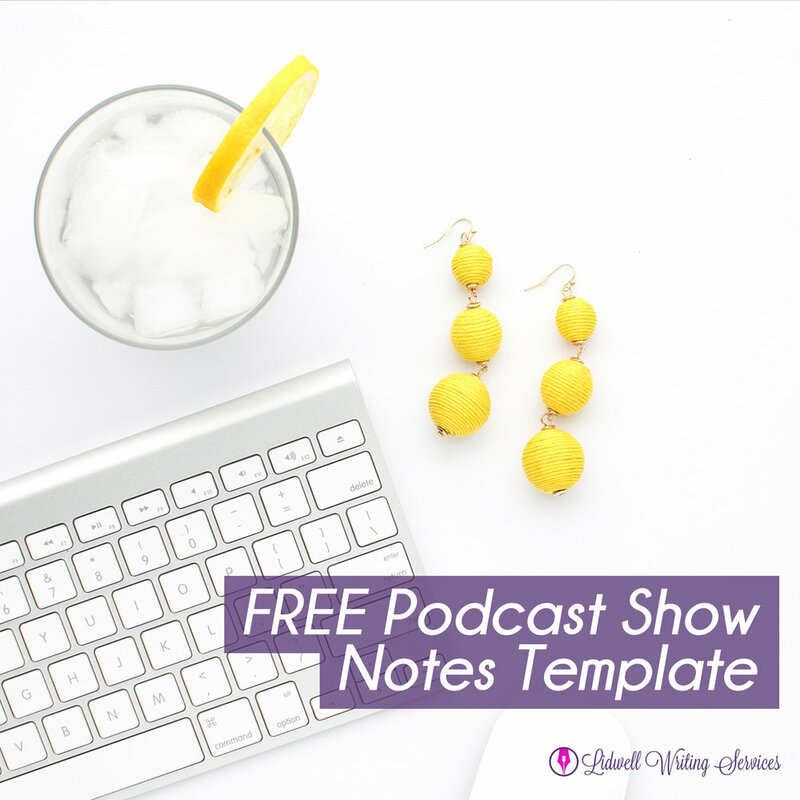 Whether your business already has a sizable “built-in” audience, or you’re still trying to connect and grow your audience - starting a podcast is a great way to do both! There are few other mediums that entrepreneurs can leverage to connect with industry thought-leaders and experts. Likewise, there are few other mediums that offer your audience the ability to truly connect and resonate with your company, mission, and culture. By starting a podcast to share your company’s unique stories, experiences, and advice - you position your brand as an authority in your space. You connect with your audience in a more authentic way. And you show the world how passionate you are about what you do and who you serve. While passion may be “felt” through the written word, such as your blog posts, nothing beats hearing it in your voice. That passion, your stories, and your valuable advice is what will help set you apart in your industry, increase your brand awareness, resonate with your audience, and ultimately impact your bottom line. One of the easiest ways to spread your message - and company mission - is by becoming a featured guest on someone else’s podcast. The Search Engine Journal website calls guest blogging “one of the best online marketing strategies” business owners can invest in. In fact, they even have an interesting blog post on the Top 11 Benefits of Guest Blogging. But wait! I thought we were talking about being a guest on podcasts?? We are, but the benefits of guest blogging and being a guest on someone else’s podcast are very similar! The ability to expand your network and connect with industry influencers and thought-leaders. Encourage more follows, likes, shares, and engagement with your brand on social media. Build or increase backlinks to your website. Start the KLT (Know-Like-Trust) process and encourage a positive customer journey. Like guest blogging, being a guest on other podcasts gives you the unique ability to connect with their audience. It allows you to inspire their community and educate their tribe with your unique stories, insight, and lessons learned. And - it helps you expand your personal network while building authority, increasing visibility, and generating traffic - and potential sales - for your business and website. Not ready to launch a podcast of your own? Don’t have time to research podcasts in your industry and request to be interviewed? Many small business owners may understand how leveraging the podcast medium can impact their brand awareness and business growth, but find it difficult to find the time to search for shows within their industry or squeeze 30 minutes of uninterrupted time into their busy schedule to record a podcast interview. This can often be especially hard for solopreneurs and new business owners. For the busy entrepreneur or solopreneur - sponsoring a podcast, or even discussing a mutually beneficial cross-promotion opportunity with a podcaster in your niche - can often be a very rewarding experience for both parties involved. Sponsoring a podcast not only helps the creators continue to produce valuable and insightful content for their audience - it also helps you, the business owner, promote your business to their audience. When podcasters hear the word ‘sponsor” - some may immediately think about ad-inserts such as pre-rolls, mid-rolls, and post-rolls. But that’s not always the case! Many podcasters have been quite creative in how they promote their show sponsors to their audience - making them feel like a natural part of the content. 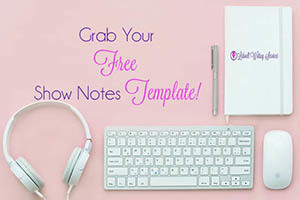 But regardless of the nitty-gritty details like whether your sponsor ad should be a mid-roll ad-insert or a natural part of the conversation, sponsoring a podcast within your niche is a great way to build brand awareness and promote your products and services without interfering with your hectic schedule. The most important thing to consider when reaching out to podcasters about a sponsorship or cross-promotion opportunity, however, is ensuring your company, products, or services truly “fit” their audience. Podcasting is by far one of the best ways to create - and build - brand awareness for your organization. Whether you decide to launch your own show, share your journey and experience by being a podcast guest, or sponsoring a podcast in your industry - the podcast medium offers many opportunities for new and veteran business owners to increase their visibility, promote their products and services, and connect with their target audiences on a deeper level. 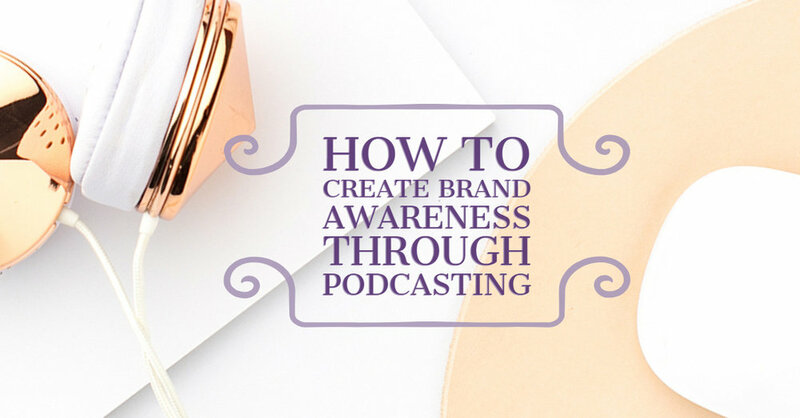 How are you leveraging the power of the podcast medium to build brand awareness for your business? I am a freelance writer & blogger. I am a mother of two adorable children, and the wife to my best friend. In my spare time, I enjoy spending time with my family and friends, reading, and watching Netflix!